Priced below KBB Fair Purchase Price! CARFAX One-Owner. Clean CARFAX. LOADED WITH EXTRAS, ** BALANCE OF FACTORY WARRANTY **, >, >, ** NON SMOKER **, !! BEST COLOR COMBINATION ! !, ** PREMIUM CHROME ALLOY WHEELS **, BUY WITH CONFIDENCE as this vehicle is FULLY SERVICED and passed our vigorous 128 POINT INSPECTION!, PASSED 120 INSPECTION! 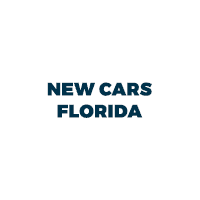 !, jet black Leather, 1st & 2nd Row Color-Keyed Carpeted Floor Mats, 2nd Row 60/40 Split-Folding Manual Bench, 2nd Row Pwr Release 60/40 Split Folding Bench Seat, 3rd Row 60/40 Power Fold Split-Bench, 3rd Row Manual 60/40 Split-Folding Fold Flat Bench, 4-Wheel Antilock Disc Brakes w/Brake Assist, 5 12-Volt Auxiliary Power Outlets, 9 Speakers, ABS brakes, Adjustable pedals, Air Conditioning, AM/FM radio: SiriusXM, Auto-Dimming Inside Rear-View Mirror, Auto-dimming Rear-View mirror, Automatic temperature control, Black Assist Steps, Bluetooth® For Phone, Bose Premium 9-Speaker System, Bumpers: body-color, Cargo Net, CD player, Color-Keyed Carpeting Floor Covering, Compass, Driver door bin, Driver Inboard & Front Passenger Airbags, Driver vanity mirror, Electronic Cruise Control w/Set & Resume Speed, Electronic Stability Control, Enhanced Driver Alert Package (Y86), Extended-Range Remote Keyless Entry, Floor Console, Fog Lamps, Forward Collision Alert, Front & Rear Park Assist, Front dual zone A/C, Front Heated Reclining Bucket Seats, Front Passenger 6-Way Power Seat Adjuster, Front reading lights, Garage door transmitter, Hands Free Power Liftgate, HD Radio, Heated 2nd Row Seats, Heated door mirrors, Heated front seats, Heated Leather Wrapped Steering Wheel, Illuminated entry, IntelliBeam Headlamps, Lane Change Alert w/Side Blind Zone Alert, Lane Keep Assist w/Lane Departure Warning, Leather-Wrapped Steering Wheel, Low Speed Forward Automatic Braking, Low tire pressure warning, Luxury Package, Memory seat, Memory Settings, Navigation System, OnStar Basic Plan For 5 Years, Outside temperature display, Passive Entry System, Pedal memory, Power door mirrors, Power driver seat, Power Liftgate, Power steering, Power Tilt & Telescopic Steering Column w/Memory, Power windows, Power-Adjustable Accelerator & Brake Pedals, Power-Folding Heated Outside Mirrors, Preferred Equipment Group 1LT, Premium audio system: Chevrolet MyLink, Premium Smooth Ride Suspension Package, Push Button Keyless Start, Radio: Chevrolet MyLink AM/FM Stereo, Rear Cross-Traffic Alert, Rear Park Assist w/Audible Warning, Rear seat center armrest, Remote keyless entry, Remote Vehicle Start, Roof rack: rails only, Roof-Mounted Luggage Rack Side Rails, Single-Slot CD/MP3 Player, SiriusXM Satellite Radio, Spoiler, Steering wheel mounted audio controls, Traction control, Trip computer, Universal Home Remote, Voltmeter. Black 2018 Chevrolet Tahoe LT RWD 6-Speed Automatic Electronic with Overdrive V8 All prices plus tax, tag, dealer installed equipment, and fees. Important recall information: so you know, any used vehicle you may be considering may have unrepaired manufacturer’s safety recalls. To check the recall status (repaired or unrepaired) of the specific used vehicle you’re interested in purchasing visit www.safercar.gov. Thanks for shopping with us. CARFAX One-Owner. Clean CARFAX. LOADED WITH EXTRAS, ** BALANCE OF FACTORY WARRANTY **, >, >, ** NON SMOKER **, !! BEST COLOR COMBINATION ! !, ** PREMIUM CHROME ALLOY WHEELS **, BUY WITH CONFIDENCE as this vehicle is FULLY SERVICED and passed our vigorous 128 POINT INSPECTION!, PASSED 120 INSPECTION! !, 8-Way Driver & Passenger Seat Adjusters, 9 Speakers, Air Conditioning, AM/FM radio: SiriusXM, Automatic temperature control, Body Color Dual Roof Package, Bose Premium 9-Speaker Audio System Feature, Bumpers: body-color, Carbon Flash Badge Package, Cargo Mat w/Grand Sport Logo (LPO), Compass, Custom Floor Console Lid w/Grand Sport Logo (LPO), Driver door bin, Driver vanity mirror, Front dual zone A/C, Front reading lights, Grand Sport Heritage Package, Grand Sport Logo Package (LPO), GT Bucket Seats, Heated door mirrors, Illuminated entry, Leather steering wheel, Navigation System, Outside temperature display, Passenger vanity mirror, Power door mirrors, Preferred Equipment Group 1LT, Premium Carpet Floor Mats w/Grand Sport Logo (LPO), Radio data system, Radio: Chevrolet Infotainment System, Rear window defroster, Remote Vehicle Starter System, SiriusXM Radio, Spoiler, Volcano Orange Fender Hash Marks. Sebring Orange Tintcoat 2019 Chevrolet Corvette Grand Sport 1LT RWD 7-Speed Manual with Active Rev Matching 6.2L V8 Odometer is 3308 miles below market average! All prices plus tax, tag, dealer installed equipment, and fees. Important recall information: so you know, any used vehicle you may be considering may have unrepaired manufacturer’s safety recalls. To check the recall status (repaired or unrepaired) of the specific used vehicle you’re interested in purchasing visit www.safercar.gov. Thanks for shopping with us. Priced below KBB Fair Purchase Price! Clean CARFAX. LOADED WITH EXTRAS, >, ** NON SMOKER **, !! BEST COLOR COMBINATION ! !, ** PREMIUM CHROME ALLOY WHEELS **, BUY WITH CONFIDENCE as this vehicle is FULLY SERVICED and passed our vigorous 128 POINT INSPECTION!, PASSED 120 INSPECTION! !, 10 Speakers, 4-Way Power Passenger Seat, 8-Way Power Driver Seat w/Power Lumbar, Air Conditioning, AM/FM radio: XM, AM/FM Stereo w/MP3 Compatible CD Player, AM/FM Stereo w/MP3/CD/DVD-Based Navigation, Auto-Dimming Inside Rear-View Mirror, Automatic temperature control, Bluetooth® For Phone, Body-Color Bodyside Moldings, Body-Color Heated Power-Adjustable Outside Mirrors, Bose Premium 10-Speaker Sound System, CD player, Digital Compass, Emergency communication system, Enhanced Driver Information Center, Front License Plate Bracket Mounting Package, Integral Spotter Blind-Zone Mirrors, Leather-Wrapped Steering Wheel, MP3 decoder, Navigation System w/Rear Camera & USB Port, Personal Connectivity Package, Power driver seat, Power steering, Power windows, Preferred Equipment Group 2LT, Programmable Remote Keyless Entry, Radio data system, Rear Power Liftgate, Rear window defroster, Rear-View Camera System, Redundant Audio Controls on Steering Wheel, Remote keyless entry, Remote Vehicle Start, Steering wheel mounted audio controls, Tri-Zone Automatic Climate Control, Ultrasonic Rear Parking Assist, Universal Home Remote, Variable Effort Power Steering, XM NavTraffic, XM Radio. Cyber Gray Metallic 2011 Chevrolet Traverse 2LT 2LT FWD 6-Speed Automatic Electronic with Overdrive 3.6L V6 SIDI Odometer is 12955 miles below market average! Awards: * 2011 IIHS Top Safety Pick (built after 1/11) * 2011 KBB.com Top 10 Family Cars Reviews: * If you're looking for a big family vehicle with excellent safety ratings, the ability to tow 5,400 pounds and reasonably good fuel economy for its size, the 2011 Chevrolet Traverse may be the best game in town. Source: KBB.com * Compliant ride; seating for up to eight passengers; adult-friendly, split-folding third-row seat; massive cargo area; top safety scores. Source: Edmunds All prices plus tax, tag, dealer installed equipment, and fees. Important recall information: so you know, any used vehicle you may be considering may have unrepaired manufacturer’s safety recalls. To check the recall status (repaired or unrepaired) of the specific used vehicle you’re interested in purchasing visit www.safercar.gov. Thanks for shopping with us. AWD. Pitch Black Clearcoat 2014 Dodge Journey SXT AWD 6-Speed Automatic 3.6L V6 24V VVT Awards: * 2014 KBB.com 10 Most Affordable 3-Row Vehicles * 2014 KBB.com 10 Most Affordable SUVs Reviews: * If your family is growing, but you don't find a minivan appealing, the Dodge Journey SUV offers seating for up to seven, an available V6 engine and all-wheel drive, and it will take on just about anything that can be crammed into a typical minivan while avoiding the minivan image. Source: KBB.com * Seating for up to seven; available built-in booster seats; useful interior storage solutions; smart touchscreen interface. Source: Edmunds * Though perfectly suited for the city, the 2014 Dodge Journey is always ready when you need a little quality time off the grid. And it does it in style with brilliant colors, distinctive features, and that signature Dodge look. Wherever you take it, the Journey brings comfort along for the ride for up to seven people. It is available in 5 models: the base American Value Package, SE, SXT, Limited and the top-of-the-line R/T. The Limited is a new trim for 2014. A 173 Horsepower, 2.4-Liter, 4-Cylinder Dual VVT Engine powers the American Value Package, SE and SXT models, in conjunction with a 4-speed automatic transmission. It gets an EPA estimated 26 MPG on the Highway, plus it can get over 500 highway miles per tank. The mid-range SXT gives you the choice between the 2.4-Liter or an incredible 283 Horsepower Pentastar V6 Engine to get your heart racing. The V6 is the standard engine in the Limited and R/T. The SXT, Limited and R/T can also be purchased with optional All-Wheel Drive. Further, all models come with AutoStick that gives you clutchless manual shifting for more exciting drives. Standard equipment for the Journey includes items like a 4.3-inch touch-screen AM/FM radio with CD player, a USB port and audio input jack, push-button start, in-floor storage in the 2nd row, a covered storage bin in the rear cargo area, and 17-inch wheels. Dependent on the trim you select, option possibilities include: 3-zone automatic air conditioning, 19-inch wheels, leather seating, 3rd-row seats, Flip ‘n Stow compartment, UConnect Hands-free Communication network, navigation, six premium speakers with subwoofer and a 368-watt amplifier, a rearview camera, and ParkSense parking assist. Also new for 2014, SiriusXM satellite radio is an option you can purchase on all trims. Your safety has been considered too with standard Traction Control, an array of airbags, Anti-Lock 4-Wheel Disc Brakes, Brake Assist, Stability Control, Roll Mitigation, and a Tire Pressure Monitoring Sensor. Source: The Manufacturer Summary All prices plus tax, tag, and fees. Must finance through manufacturer's or dealer's preferred lender for certain rebates. Important recall information: so you know, any used vehicle you may be considering may have unrepaired manufacturer’s safety recalls. To check the recall status (repaired or unrepaired) of the specific used vehicle you’re interested in purchasing visit www.safercar.gov. Thanks for shopping with us. Priced below KBB Fair Purchase Price! Odometer is 2515 miles below market average! MUST FINANCE! !, Like New Condition!, 3.6L V6 24V VVT, 6 Speakers, Air Conditioning, Alloy wheels, AM/FM radio, Brake assist, Delay-off headlights, Electronic Stability Control, Front fog lights, Fully automatic headlights, GPS Antenna Input, HD Radio, Leather steering wheel, Panic alarm, Power door mirrors, Power windows, Quick Order Package 23Z Big Horn/Lone Star, Radio data system, Radio: Uconnect 3 w/5" Display, Remote keyless entry, Speed control, Split folding rear seat, Steering Wheel Mounted Audio Controls, Telescoping steering wheel, Tilt steering wheel, Trip computer, Variably intermittent wipers. Red 2019 Ram 1500 Big Horn/Lone Star RWD 8-Speed Automatic 3.6L V6 24V VVT All prices plus tax, tag, and fees. Must finance through manufacturer's or dealer's preferred lender for certain rebates. Important recall information: so you know, any used vehicle you may be considering may have unrepaired manufacturer’s safety recalls. To check the recall status (repaired or unrepaired) of the specific used vehicle you’re interested in purchasing visit www.safercar.gov. Thanks for shopping with us. Priced below KBB Fair Purchase Price! *STILL UNDER FACTORY WARRANTY*, *LEATHER*, *LOCAL TRADE*, CARFAX BUYBACK GUARANTEE *See dealer for details, Grand Cherokee Limited, 4D Sport Utility, Brilliant Black Crystal Pearlcoat, 20" x 8.0" Aluminum Wheels. Brilliant Black Crystal Pearlcoat 2014 Jeep Grand Cherokee Limited RWD 8-Speed Automatic 3.6L V6 Flex Fuel 24V VVT Awards: * 2014 IIHS Top Safety Pick Reviews: * If you are on the prowl for an American-made 5-passenger SUV with high-style and genuine off-road chops, the 2014 Jeep Grand Cherokee is a solid choice. Thanks to an alluring new array of in-vehicle electronics, the Grand Cherokee is also one of the most technologically advanced entrants in the category. Source: KBB.com * Strong and fuel-efficient engine lineup, including a new diesel V6; upscale interior; plenty of luxury and technology-oriented features; irrefutable off-road ability; outlandish SRT model. Source: Edmunds * Redesigned for 2014 the Jeep Grand Cherokee is already making praises and setting standards for performance, luxury, Best-in-Class Highway Fuel Economy, and attention to detail. A confident and elegant exterior design exudes strength from every angle. For 2014, every Grand Cherokee from Laredo to Summit features premium styling treatments including new, modern front grille and fascia treatments, daytime running headlamps, projector fog lamps and capless fuel fillers. The rear of the Grand Cherokee offers new, larger taillamps with signature LED lighting, a larger rear aerodynamic spoiler and a re-sculpted tailgate for greater rear visibility, and a new capless fuel fill and power liftgate for more simplicity and convenience. Grand Cherokee comes standard with seating for up to five passengers. The new, available premium-quality Natura Plus leather is soft and supple and has outstanding breathability that makes the leather more comfortable in both hot and cold weather. Adding to the luxury and comfort are heated/ventilated front seats and heated rear seats. The rear cargo area in the 2014 Grand Cherokee lets you configure up to 68.3 cubic feet of storage when the rear seat is folded down. Choose from 3 different engines including the new 3.0L EcoDiesel V6 which can attain up to 30hwy mpg, drive up to 730 miles on one tank and tow up to 7,400 pounds. The 3.6L V6 engine features new eight-speed automatic transmission, with paddle-shift steering wheel controls and the new Eco Mode improves fuel efficiency by 9% and allows you to tow up to 6,200 pounds. Finally, the 5.7L V8 engine with Fuel Saving Technology boasts 360hp and 390lb-ft of torque and provides a Best-in-Class 7,400-pound towing capacity. Inside the newly updated Uconnect System features a massive 8.4-inch touchscreen, Full-Feature Navigation, SiriusXM Travel Link/SiriusXM Traffic and HD Radio. Enjoy music on 1 of the 3 available speaker systems including the top of the line Harman Kardon 19 speaker system. Source: The Manufacturer Summary All prices plus tax, tag, and fees. Must finance through manufacturer's or dealer's preferred lender for certain rebates. Important recall information: so you know, any used vehicle you may be considering may have unrepaired manufacturer’s safety recalls. To check the recall status (repaired or unrepaired) of the specific used vehicle you’re interested in purchasing visit www.safercar.gov. Thanks for shopping with us.